On today’s podcast I have the honor to introduce you to fellow podcaster and influencer Morgan Gifford of Motherhood Revival. 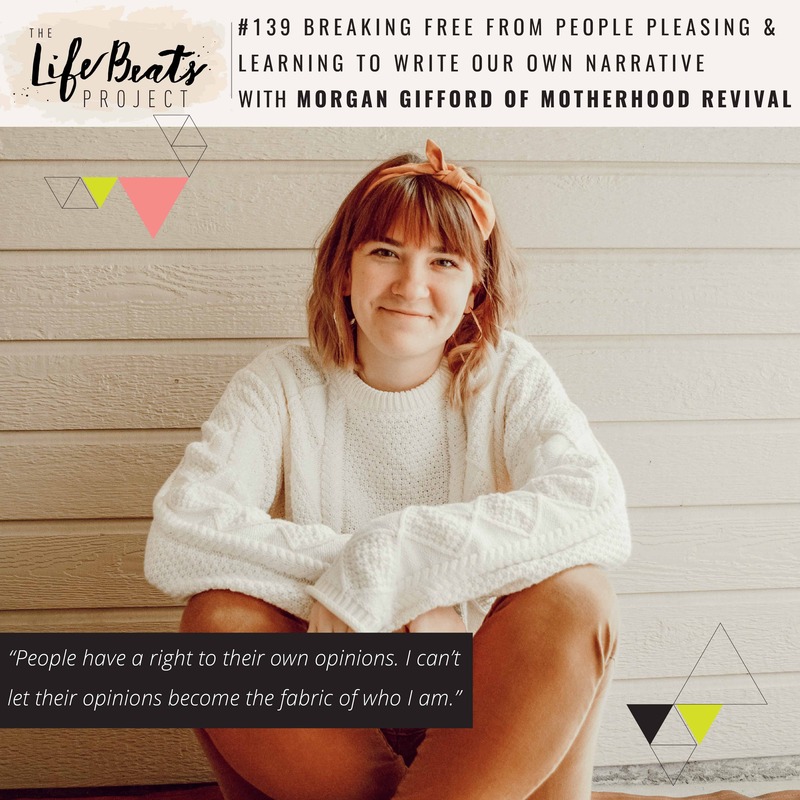 Through the sharing of Morgan’s own story of being a people pleaser, we address what it means to own your own story and not let others determine your narrative, recognizing that we cannot please everyone and everyone is entitled to their own opinion, but that doesn’t mean we have to adopt into the fabric of our own lives. Morgan shares her desire to find love and approval in her early years that left her knocking down whatever she wanted for the sake of other people, which led to a point where she was done with that and was determined to do whatever she wanted. This attitude led her to a life of partying and pregnant a week after her 18th birthday. Morgan openly shares her difficult and heartwrenching journey to find out what she really wanted in life, including two moments in which she felt real love, one from her parents, and another as her son was placed in her arms. We discuss the higher view of co-parenting and how we can project who we are at our core knowing that others may see us and our intentions differently, and that’s ok. Listen and be inspired to recognize the real forms of love in your life, to let go of what others’ think of you as the determination of how you see yourself or the choices you make, and know that you determine your own story.